So three secret things about this puzzle 1)first the pieces discovered are tetris pieces 2)second,the Knobs of the drawers are in the shape of drinking cups(or egg cups) 3)third,sorry i cannot reveal the third one. You simply feel it every time you solve it and it can not be explained with words! 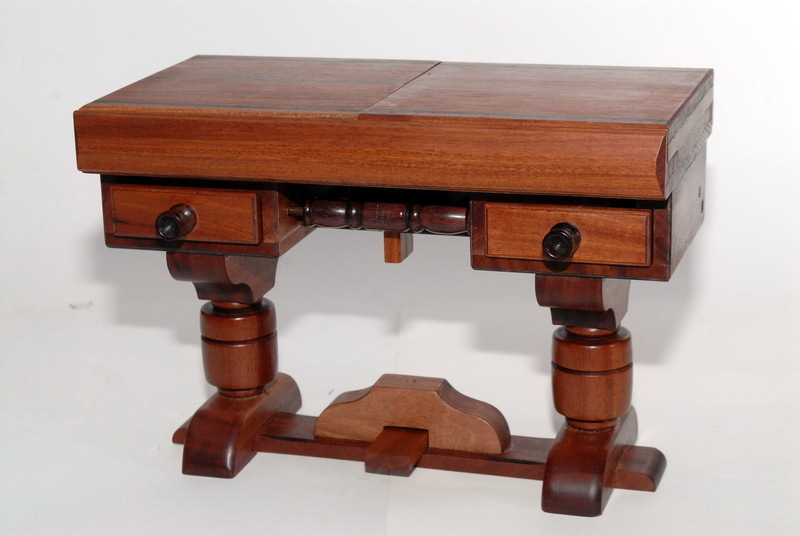 See more pics of the "xenia table puzzlebox" puzzle.or Back to puzzle index.